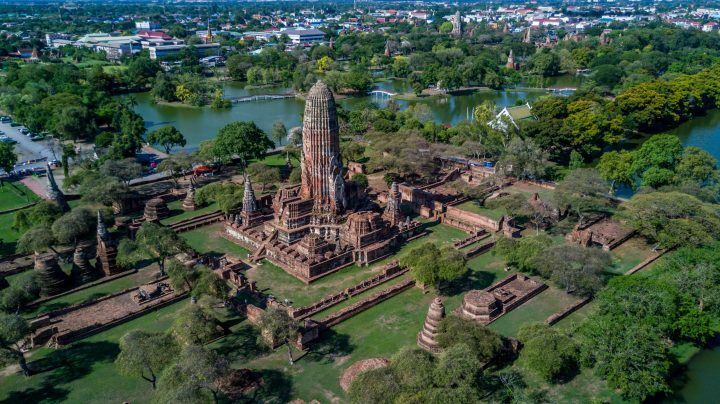 Situated at the confluence of the Chao Phraya, Lopburi, and Prasak rivers, the heritage city of Ayutthaya was the capital of Siam from the 14th to 18th centuries. This UNESCO World Heritage site was once Asia’s finest city with towering chedis and gilded palaces, protected by a 12km-long and 6m-high wall. The city spiralled into decline after it was sacked by the Burmese in 1767. Though in a damaged state, the ancient temple and palace ruins within the archeological park provide a glimpse into the grandeur and history of what was once the most powerful city in Asia. Ayutthaya can be reached by road, train, and boat.